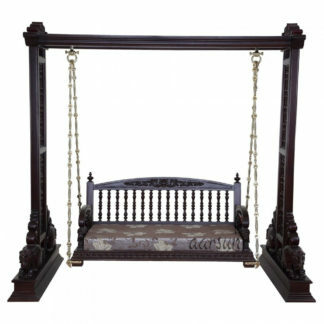 Wooden Swing is traditionally handcrafted in premium quality Wood. 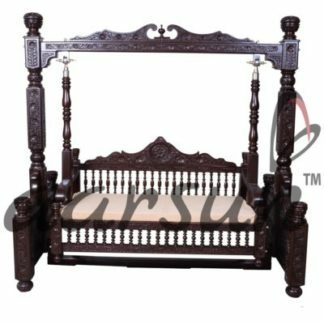 The unit consists of 2 pillars on sides with hand-carved floral pattern designs. The main swing chair is sturdy enough and is also made of Wood. The chair is attached from the top with metal chain attached. The chain has a rugged shine with a matching design.